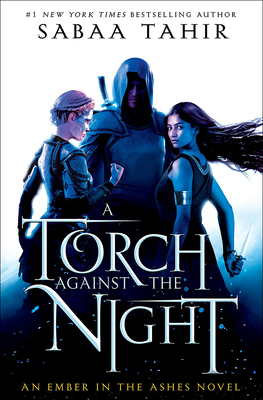 Laia is determined to break into Kauf the Empire's most secure and dangerous prison to save her brother, who is the key to the Scholars' survival. And Elias is determined to help Laia succeed, even if it means giving up his last chance at freedom. But dark forces, human and otherworldly, work against Laia and Elias. The pair must fight every step of the way to outsmart their enemies: the bloodthirsty Emperor Marcus, the merciless Commandant, the sadistic Warden of Kauf, and, most heartbreaking of all, Helene Elias's former friend and the Empire's newest Blood Shrike. Bound to Marcus's will, Helene faces a torturous mission of her own one that might destroy her: find the traitor Elias Veturius and the Scholar slave who helped him escape...and kill them both. Sabaa Tahir grew up in California s Mojave Desert at her family s eighteen-room motel. There, she spent her time devouring fantasy novels, raiding her brother s comic book stash, and playing guitar badly. She began writing An Ember in the Asheswhile working nights as a newspaper editor. She likes thunderous indie rock, garish socks, and all things nerd. Sabaa currently lives in the San Francisco Bay Area with her family. For more information, please visit Sabaa at SabaaTahir.com or on Twitter @SabaaTahir."